Combining finances isn’t typically a priority before a couple gets married. But once you are finally newlyweds, finances suddenly become a high priority. 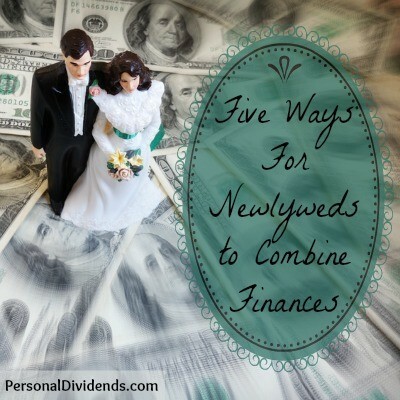 How can newlyweds combine finances successfully? As newlyweds, building trust early is major. Everything else you do in your marriage will be stronger when based on a foundation of trust. This is critical when it comes to finances. You need to be completely open about your financial situations. Though it can be a bit embarrassing, you have a better chance of solving your biggest financial problems when you lay out all your issues up front. In that way, you not only help the process of focusing your joint resources on the biggest weaknesses, but you also avoid the possibility of untimely discovery at a later date. There’s no right or wrong approach when it comes to checking accounts, but whichever you choose, you both need to be comfortable with the decision. Joint accounts make it easier to combine finances, and to regiment your efforts at savings, debt reduction and retirement planning. Separate accounts, on the other hand, give each partner greater control over their respective finances. As long as you’re not using separate accounts to keep secrets from each other, it can give you each some financial breathing room. It’s easy to talk about saving for retirement, but often more difficult in the execution. Both of you need to be committed to doing it from the beginning in order to achieve the best outcome. But that will mean being in agreement over what you’re going to do without in order to free up money for retirement investing. Joint savings is a much easier decision to come to than joint checking. As a couple, you need to have certain mutual savings goals, or at least to be on the same page with regard to significant priorities. Save for the down payment on a house. Save to make a large down payment on a car – or to buy it for cash. Save for other major purchases or financial goals. For savings goals such as any of these, you can achieve them better and faster by doing it as a couple. It’s not just that two people can contribute more money than one, but also – just as important – that you can hold each other accountable for the progress. If you ever tried to pay off debt, you know that it takes a lot of effort. It’s like trying to go on a diet, except that instead of doing with less food, you’re trying to get by with less money – and sometimes that also means less food too! This is especially true if you’re trying to tackle the payoff of large debts, like student loan debts. In order to be successful, you’ll have to decide which expenses will be reduced or eliminated completely. It can often be easier for two people to do this because you will be able to come up with more ideas to get around spending. And once again, paying off debt jointly will force each of you to be accountable to the other for the results. Debt also has the potential to be a marriage killer, especially if it continues and expands. The best time to deal with debt is early in the marriage – the sooner you can make it go away, the sooner you can begin developing other financial priorities – without the heavy weight that debt puts on a relationship. What tips can you offer to newlyweds trying to combine finances?